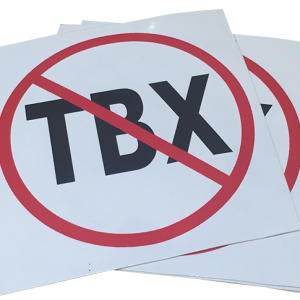 View Cart “Stop TBX sticker pack (10)” has been added to your cart. 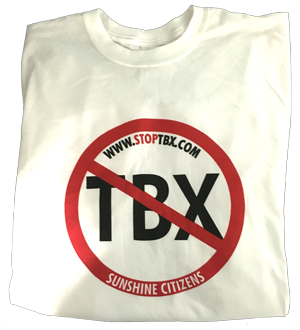 Bright white comfy t-shirt with the STOP TBX message right on the front. Also available in Black t-shirt. Select size and color desired. Perfect to wear to MPO meetings, rallies and even to your favorite watering hole. Tell your friends what STOP TBX is all about and represent this great cause in your community!